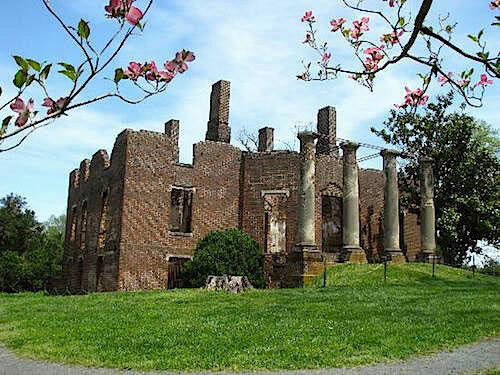 CHARLOTTESVILLE, Virginia is one of those small town secrets that you never want to share with others for fear that it will become overly saturated with developments and tourists. Much of CHARLOTTESVILLE was the vision of Thomas Jefferson and it’s home to many of his greatest ideas from viticulture to the University of Virginia. So, this southern charmer in the foothills of the Blue Ridge Mountains is a special place and over time has achieved a balance of culture and lifestyle that makes it one of the best places to live in America. It’s proven to be a welcomed reprieve from the hustle and bustle of Washington, DC for me and my family, and here’s what we love most about Jefferson’s hometown. For fashionistas, there’s shopping at Blue Mercury, Eloise, Scarpa and Verdigris. Design fans will love And George, Caspari, C & A Camp, Curious Orange, Folly, Kenny Ball, Roxie Daisy, Second Yard, and The Barn Swallow. The Charlottesville area is an outdoor lovers paradise with hiking and nature trails, white water rafting, hunting, fishing, skiing and wineries galore. Wineries worth a visit are Barboursville, Blenheim, King Family and Pippin Hill. Breweries worth a drive are Blue Mountain and Devils Backbone. Historic home of our 5th President James Monroe. Cville’s most unique combination cinema + concert venue. The only museum in the U.S. dedicated to the study of Australian Aboriginal art. Three art galleries and artists’ studios open to the public. Historic home and plantation of our 3rd President Thomas Jefferson. 100-mile scenic drive in the Blue Ridge Mountains. There’s also hiking trails, but beware of bears! Offering top-flight shows from Broadway to comedy to musicals. Outdoor venue with a line up that amazes from Beck to Al Green. 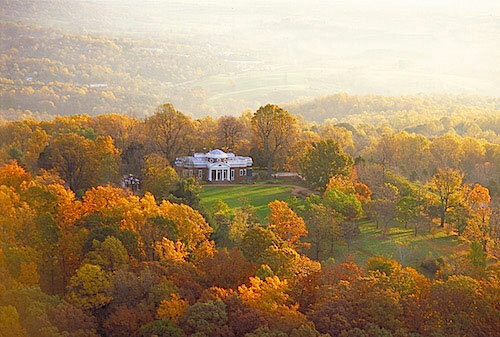 From the rotunda to the special collection of historic documents, Thomas Jefferson’s academical village is worth an afternoon tour. Every November the University of Virginia hosts this 4-day celebration of cinema. The Charlottesville food scene is one of THE hottest in the country with young chefs opening truly promising restaurants. A James Beard semi-finalist for best new restaurant offering French-inspired shared plates and craft cocktails. The only place to eat a bagel in Cville. Great salads too. Inventive burgers done right in a fun atmosphere. Thirty-year old Cville legend. Best bet for a rendezvous in the cozy downstairs bar. Hip + energetic atmosphere with regional menu and see + be seen upstairs Skybar. Modern french fine dining popular for special occasions. Want a great sandwich? Head here for inventive breakfast and lunch offerings. A Cville favorite for tasty Spanish tapas. 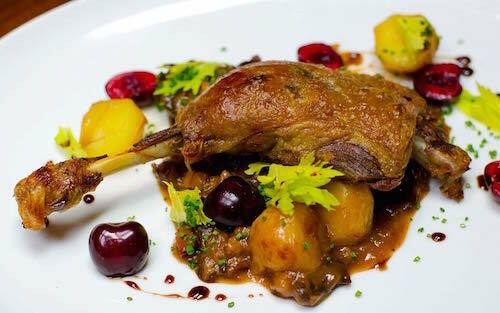 Southern-French fusion made from local ingredients. New to the scene, but racking up cool points with its seasonal wood-fired food. Classic French bistro perfect for Sunday brunch. Go for happy hour and the lobster roll. New spot for fresh seafood and Virginia craft beers on tap. Everyone sings the praises of Peter Chang China Grill — I just don’t get it. For authentic Szechaun, I head to Taste. Cville’s best for rustic Italian fare. Sushi is about quality fish, not creative maki rolls. Ten is Cville’s BEST sushi. Angelo Vangelopoulos is considered Cville’s best chef. Ivy Inn offers a classic dining experience. New to the scene, but gaining in popularity for its globally-inspired menu. Go for the Southern comfort food, stay for the cocktails and live music. Southern heritage resort near UVA known for its hospitality, spa and golf. 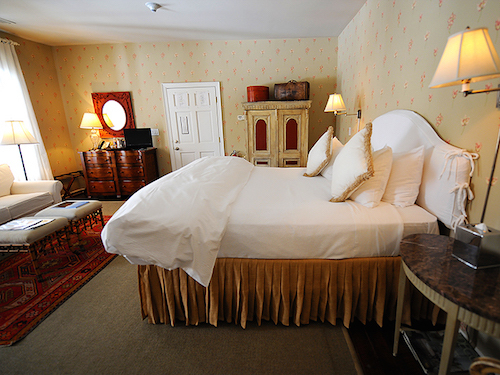 This Relais and Chateaux property offers comfortable rooms and excellent service. Cville’s newest hotel near Stonefield with modern comforts and exceptional service. One of Virginia’s best hotels with the fantastic Fossett’s restaurant. Bed + breakfast near the Downtown Mall with lots of southern charm.